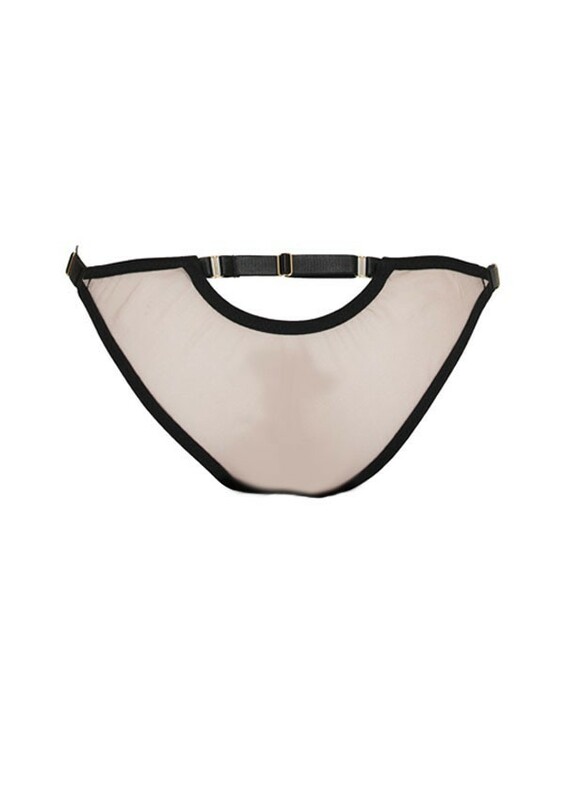 Powder blush transparent silk brief. Black border outlines the edges of this brief. On each side of the brief there are adjustable golden metal slides providing better comfort. On the back, the upper part of the brief has a semi-round opening with a golden metal slide on the top, which sensuously shows your skin.